This guide documents product features for Red Hat 3scale 2-saas. After you chose your metrics, register them in the 3scale Admin Portal. Navigate to [your_API_name] > Integration > Methods & Metrics. Navigate to Audience > Applications > Listing to see the list of existing applications. 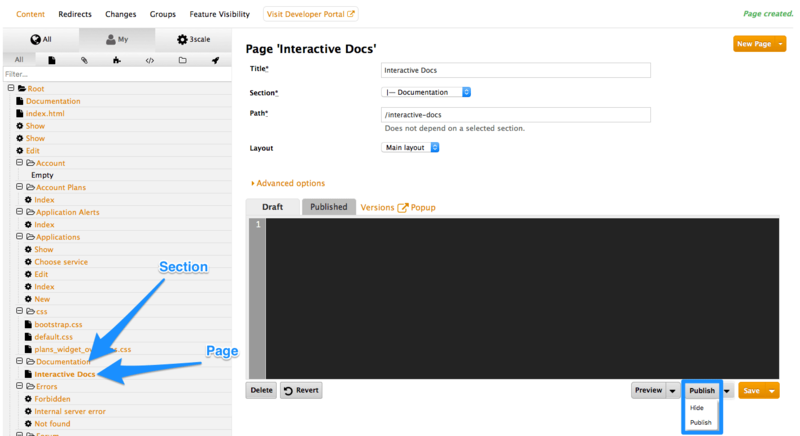 The log of integration errors detected by 3scale can be found in [your_API_name] > Analytics > Integration Errors. 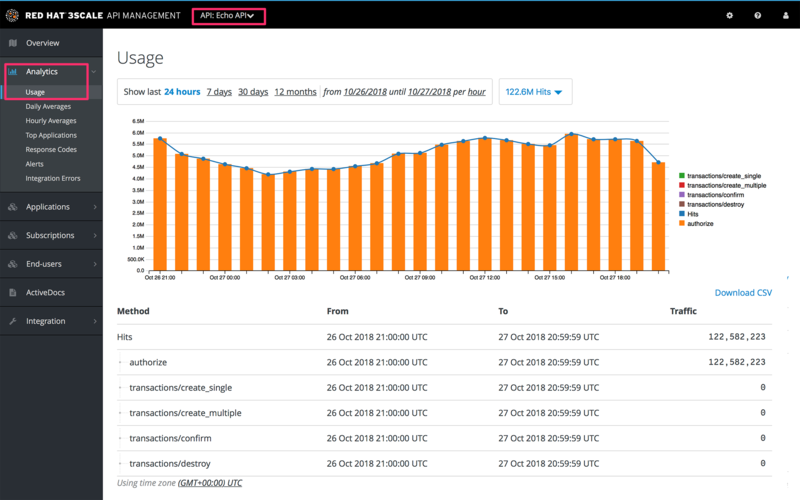 These reports provide the aggregated data about your traffic, including information about new subscribers to your API and top applications. To enable these reports in the Account Settings (gear icon) > Personal > Notification Preferences of your Admin Portal, find the weekly aggregate reports and daily aggregate reports check boxes. If enabled, these reports are emailed to the admin user of your 3scale account. The only thing left to do is go to [your_API_name] > Integration > Configuration in your 3scale Admin Portal and map your URIs to your metrics, as shown in the following diagram. 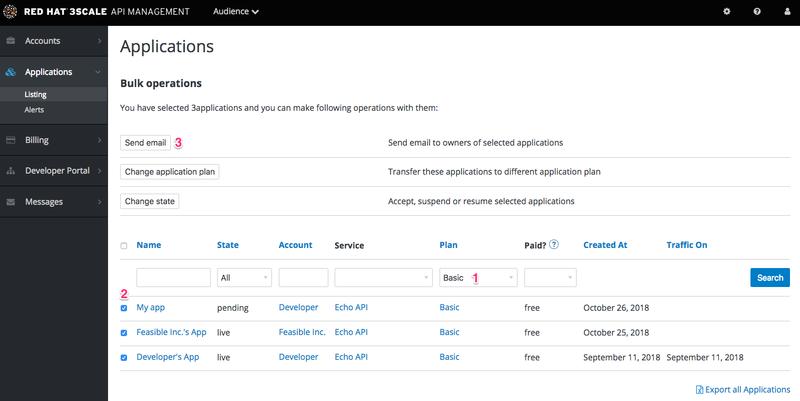 Navigate to Audience > Applications > Listing and filter the list by the application plan that you want to send the deprecation note and click Search. 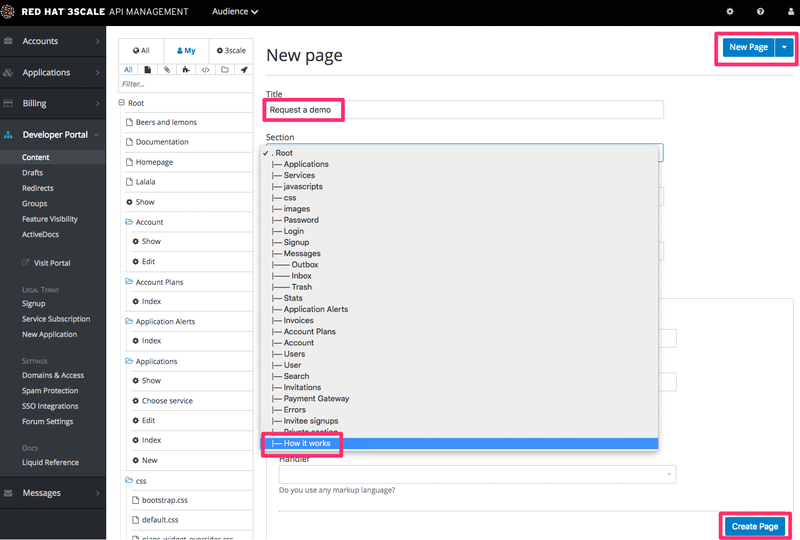 This tutorial assumes that you are using a 3scale SaaS account and have access to the Admin Portal. 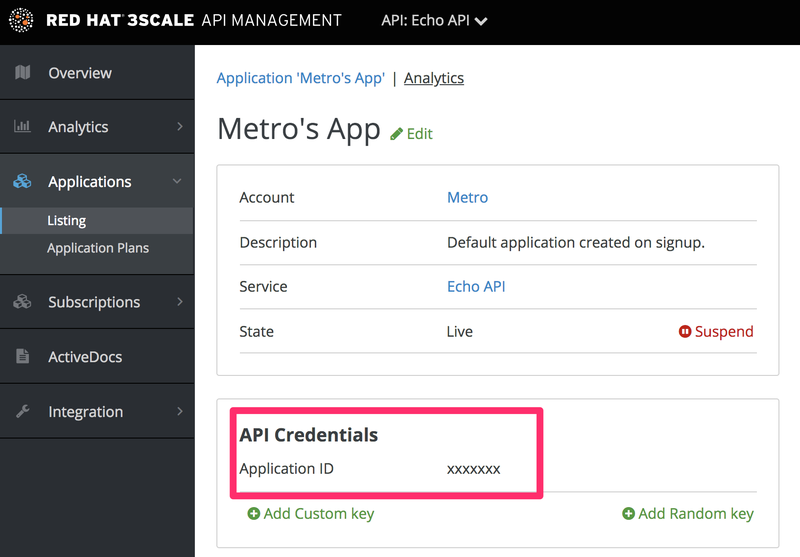 Head to Audience > Accounts > Listing to create a new developer account and API credentials. 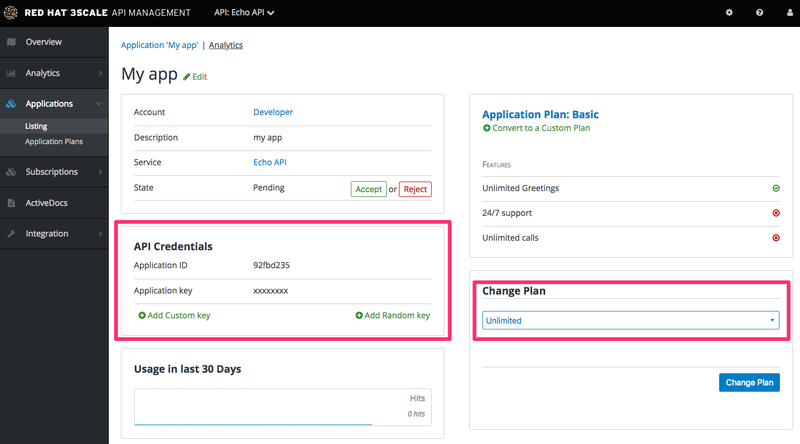 In addition to creating the metrics/methods, you can also add limits to any of the API usage metrics under each plan. Let’s create a new application plan for this example. 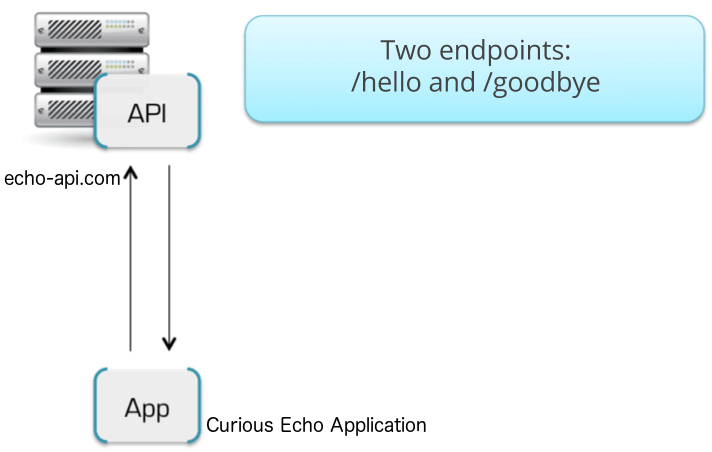 Navigate to [your_API_name] > Overview > Create Application Plan. Go to Audience > Accounts > Listing and click on the create button. You have now configured the management system for your first application. 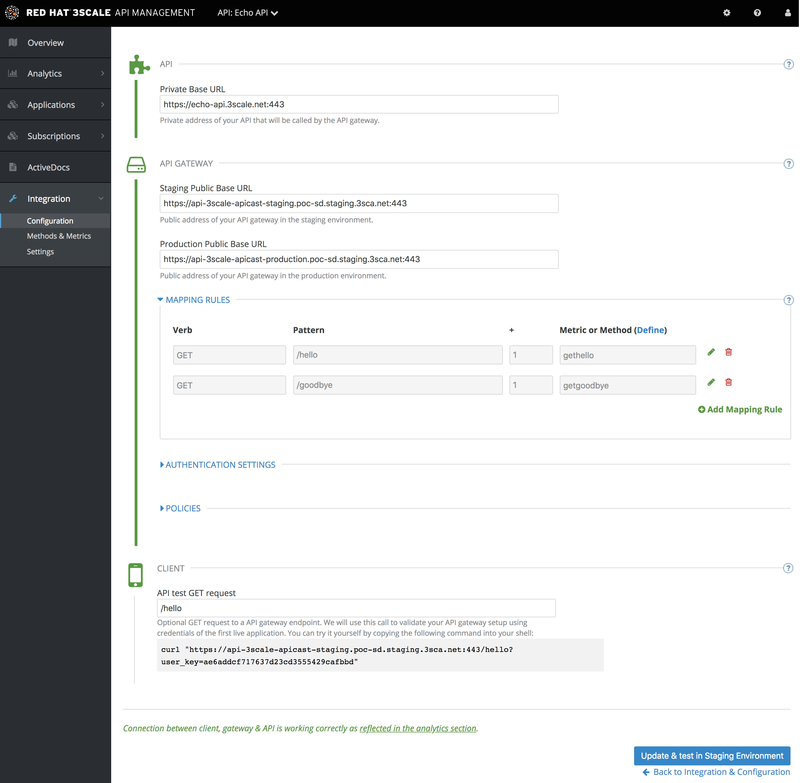 For the next steps, make sure you’re using the APIcast hosted deployment option. This option has a staging area where you can easily try out your configuration. 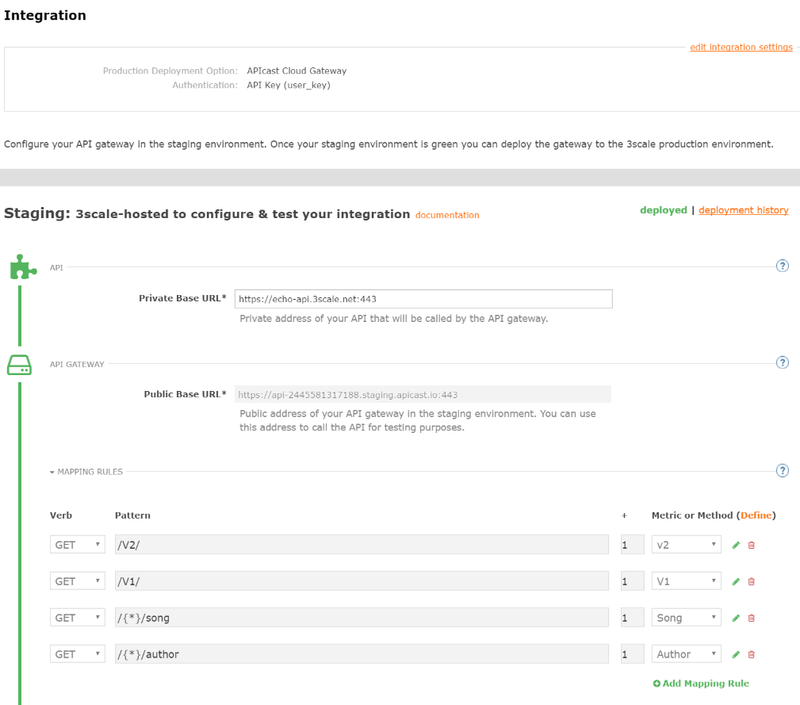 Once you sign into your 3scale account, go to [your_API_name] > Integration > Configuration.